Rita Dove—recipient of the 1987 Pulitzer Prize in poetry and two-time U.S. Poet Laureate—will deliver the Commencement Address at Smith College’s graduation ceremony on Sunday, May 20. Dove will receive an honorary degree at commencement. Robert L. Pura, who is retiring this year after nearly two decades as president at Greenfield Community College. Rita Dove, recipient of the 1987 Pulitzer Prize in poetry and two-time U.S. Poet Laureate, is the author of nine books of poetry, including Sonata Mulattica, a poetic treatise on the life of 19th-century violinist George Bridgetower. Her most recent book is Collected Poems 1974-2004, which received the 2017 NAACP Image Award; she also edited The Penguin Anthology of Twentieth-Century American Poetry. Her drama The Darker Face of the Earth premiered in 1996 at the Oregon Shakespeare Festival and was produced at the Kennedy Center in Washington, D.C., the Royal National Theatre in London and other venues. In 1998, the Boston Symphony debuted her song cycle “Seven for Luck,” with music by John Williams, under the composer’s baton. Among Dove’s many honors are the 2011 National Medal of Arts from President Barack Obama, the 1996 National Humanities Medal from President Bill Clinton and 25 honorary doctorates. A member of the American Academy of Arts and Letters, she is Commonwealth Professor of English at the University of Virginia. Carol T. Christ began her term as chancellor of the University of California, Berkeley on July 1, 2017. A celebrated scholar of Victorian literature, Christ is also well known as an advocate for quality, accessible public higher education, a proponent of the value of a broad education in the liberal arts and sciences, and a champion of women’s issues and diversity on college campuses. 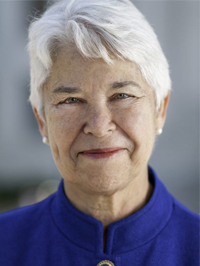 Christ spent more than three decades as a professor and senior administrator at UC Berkeley before serving from 2002 to 2013 as Smith’s 10th president. She returned to Berkeley in 2015 to direct the campus’s Center for Studies in Higher Education, was appointed interim executive vice chancellor and provost in 2016, and was named chancellor in 2017. Since returning to Berkeley, Christ has played an instrumental role in efforts to stabilize the institution’s budget, confront sexual violence and misconduct, and address issues of free speech. Christ received her B.A. from Douglass College and earned M.Ph. and Ph.D. degrees from Yale. 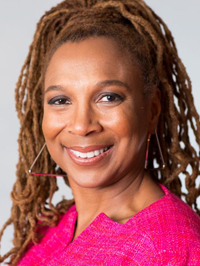 Kimberlé Williams Crenshaw, professor of law at UCLA and Columbia Law School, is a leading authority on civil rights, Black feminist legal theory, and race, racism and the law. Founding coordinator of the Critical Race Theory Workshop, she is co-editor of Critical Race Theory: Key Documents That Shaped the Movement. Crenshaw’s groundbreaking work on intersectionality has been influential globally, including in the drafting of the equality clause in the South African Constitution. Crenshaw is the co-founder and executive director of the African American Policy Forum—a gender and racial justice legal think tank—and founder and executive director of the Center for Intersectionality and Social Policy Studies at Columbia Law School. A leading voice in the call for a gender-inclusive approach to racial justice interventions, she spearheaded the Why We Can’t Wait Campaign and co-authored Black Girls Matter: Pushed Out, Overpoliced and Underprotected, and Say Her Name: Resisting Police Brutality Against Black Women. Sharmeen Obaid-Chinoy ’02 is a two-time Academy Award- and Emmy Award-winning documentary filmmaker. In the past 16 years, she has made a dozen award-winning films—including A Girl in the River: The Price of Forgiveness, Saving Face andPakistan’s Taliban Generation—in more than 10 countries around the world. In 2012, Time magazine included Obaid-Chinoy in the magazine’s annual list of the 100 most influential people in the world. That same year, the government of Pakistan awarded her one of its highest civilian honors, Hilal-e-Imtiaz. In 2013, the Canadian government awarded her a Queen Elizabeth II Diamond Jubilee Medal for her work in the field of documentary films, and the World Economic Forum honored her with a Crystal Award at its annual summit in Davos. 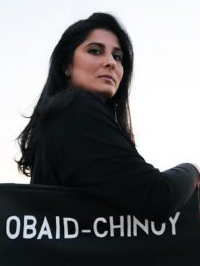 Born and raised in Karachi, Pakistan, Obaid-Chinoy received a bachelor’s degree from Smith College in 2002, and earned two master’s degrees from Stanford University. With 40 years of experience in the Massachusetts Community College system, Robert L. Pura is retiring this year as president of Greenfield Community College, a post he has held for nearly two decades. The son of an immigrant and the first in his family to attend college, Pura earned his A.A. at Miami Dade Community College, received a B.A. degree from the University of South Florida, then earned an M.S. degree from St. Thomas University, Miami, and a Ph.D. from the University of Texas at Austin. A member of the American Association of Community College Implementation Team and the NEASC Commission on Institutions of Higher Education, Pura also is past president of the Massachusetts Community College Presidents’ Council. 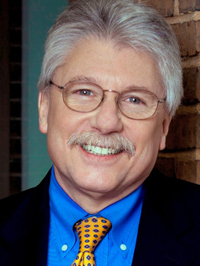 He has served on the boards of the Franklin County Chamber of Commerce, the Community Foundation of Western Massachusetts, the Food Bank of Western Massachusetts and Baystate Health, among others. Smith College today announced the appointment of James W. Gray as associate vice president for facilities and operations. The Grécourt Gate is getting a new look! In keeping with the college’s efforts to make its digital communications more effective and user friendly, the Grécourt Gate will unveil a new “face” over Spring Break. At its meeting in February, the Smith College Board of Trustees approved tenure and promotion recommendations for 16 faculty members.